After three years of deliberations with environmental groups, the U.S. Forest Service reduced the acreage of a timber sale in the Jefferson National Forest and took other measures to protect water quality. 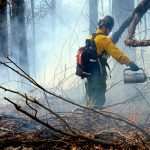 The use of timber harvests and prescribed burns on national forest land is hotly debated by conservationists and forest users. Appalachian Voices asked conservationists, recreational users, a Cherokee tribal member and more what they most want to see from the new Nantahala and Pisgah National Forest Plan. Climate change scientists across the country are compiling data on temperature, rainfall and wildlife in order to anticipate coming challenges for forests and respond appropriately. The U.S. Forest Service is seasonally closing nine recreational rock faces in North Carolina to protect rare peregrine falcon nests. A map of invasive plant species shows that biodiverse Appalachia has a lower density of invasive plants than much of the Southeast. 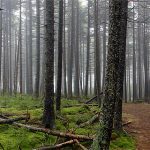 The U.S. Forest Service is working on a management plan for the Pisgah and Nantahala National Forests, both in western North Carolina. The agency has solicited feedback, and public input would be most useful by Dec. 15. 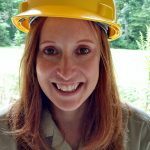 After more than 50,000 public comments and seven years of debate between citizens, government officials, environmentalists and the energy industry, the U.S. Forest Service has released a new management plan for the 1.1-million acre George Washington National Forest. 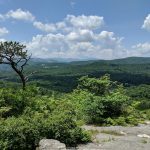 The U.S. Forest Service drew criticism from many western North Carolina conservationists in November when it announced a draft plan that will guide the future of the Pisgah and Nantahala National Forests for the next 15 years.